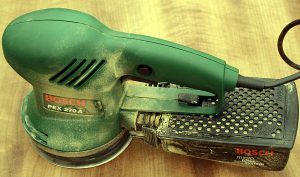 The woodworkers power tools - a guide. In our first article on the hobby of woodworking we covered your workshop needs and selecting the ideal hand tools. In this follow up we will explore the benefits of woodworking machinery. Purists will always gravitate towards their hand tools, and it can be argued that these are the most suited tool for detail work. However larger or more ambitious projects will almost certainly call for a selection of well selected mechanical aides. So, whilst we wouldn’t propose that you buy them all at once, here is a list of those you’ll probably aspire to own over time. A table, or circular, saw is a great asset to any woodworker. It provides the facility to make long straight cuts with repeatable precision. They will cross cut with ease and can easily provide a rabbet or rebate in timber using blade height adjustment. 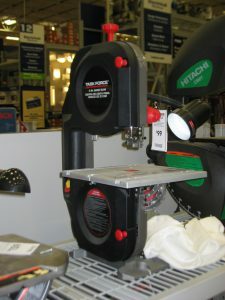 Some table saws can be detached from the bench and guide systems so as to be used as a standalone saw. The table bandsaw is a useful alternative. Its cutting is provided by a singular band of cutting teeth, which is a must for cutting curves and irregular shapes. These machines let you plane and smooth sections of timber to the correct size. Essential for replicating exact sizes repeatedly and avoiding the frustration of dealing with even the smallest of inaccuracies. The only practical solution to making items such as bed posts, table legs, bowls, or any item that is shaped for perfect symmetry. You won’t get far in your woodworking projects without purchasing a power drill. As battery life has improved, the modern trend is towards cordless devices. However, we would recommend buying either a fast-charging variety or purchasing a second battery pack. Whilst it isn’t necessary for woodworking, we would also suggest purchasing a combi drill, which has hammer settings specifically for use in drilling masonry. 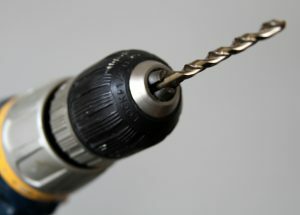 This will avoid the need to purchase another drill, and the power delivery required for masonry use means that woodworking will be a breeze. A versatile tool for fixed or freehand work such as creating hinge recesses, inlay grooves or decorative edges. Look for models with a deep plunge depth and a flexible guide system that will help you tackle even the most challenging of tasks. Random orbit sanders differ from other sanders in combining both the oscillating action of an orbital sander with the rotation of a disc sander, giving you the best of both worlds. Depending on the grade of paper used, they can remove stock efficiently, as well as give smooth finishes; additionally they reduce the chance of leaving the swirl marks that can occur with regular sanders. We could, of course, create an even more extensive list, but we think we have covered the essentials. If we have missed your personal favourite or you think we have left out something obvious, then let us know. Whilst you’re here why not take a look at a few of our ‘How To’ wood projects?